Former Perth retailer Ashley Heuchan (Plaza Cameras) has quietly collected over 1000 fine examples of the camera manufacturers’ craft in his 50 years in the industry, and is selling them online, starting today, December 1. 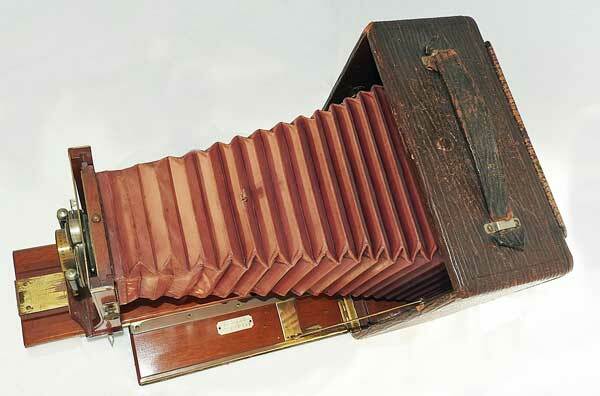 This US-manufactured Century Grand 47 large format camera from the 1900s has a starting bid of $500. For a while they were on display in his Murray Street, Perth business but space became a problem and he retired from the business, so they went into storage for years. ‘Even now, as I go through hundreds of boxes, I am amazed at what I find,’ said Ashley. There will be several auctions to clear the entire collection. The first – with 56 items up for sale – starts today and ends on Tuesday, December 12. Prospective buyers need to register to bid at auction. 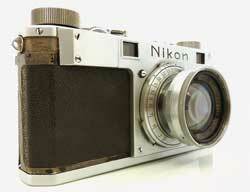 ‘Made in Occupied Japan’ Nikon One from 1949. Recent auction sales of rare Leicas and Nikons have seen exceptional models go for between $1 and $2 million! While there may not be any lots reaching those heady heights – (most models have reserve prices set at three- rather than four-figure sums) there certainly are some rare and fascinating film cameras in The Ashley Heuchan Rare Camera Collection. There are also two mint-condition (still in its box and never openend) Leica M6 rangefinders from 1987 with a reserve price of just $500, along with large format (5×7-inch), made in Rochester Century Grand Model 47 from the early 1900s, with optics from Woolensack. Riken Steky 16mm spy camera from the Cold War. 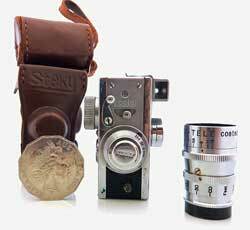 Most items in this first auction are premium cameras and lenses from Leica, Voigtlander, Rolleiflex, Zeis, Canon and Nikon, with a few more exotic pieces such as stereo cameras from the 1950s and even a spy camera from the Cold War – a Riken (now Ricoh) miniaturised 16mm still film camera – useful for all manner of discrete enquiries. Click here to go to the auction site. This entry was posted in News and tagged Collectable cameras by Keith Shipton. Bookmark the permalink.